There is no mention of a church here in Domesday. 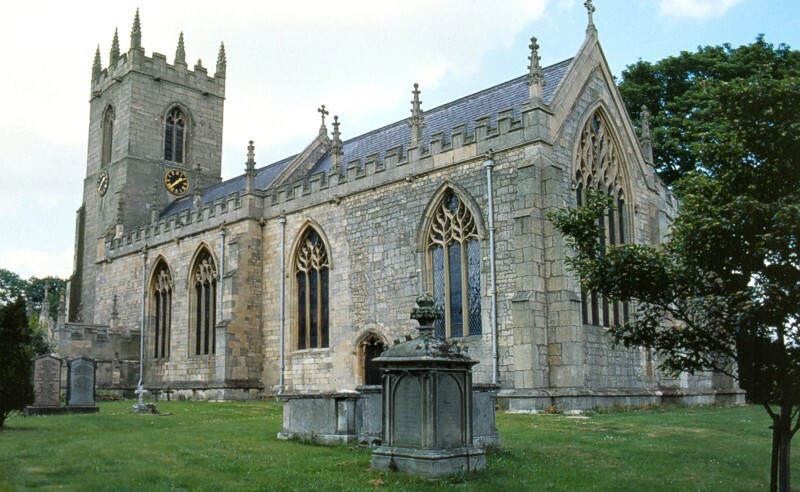 St Bartholomew’s is a large stone edifice, chiefly in curvilinear and rectilinear style. 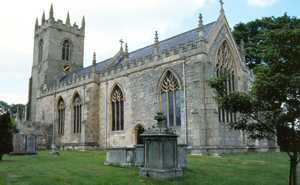 The building consists of a chancel, nave, north aisle, south porch and a west tower with crocketed pinnacles, containing three bells. All are embattled. The main porch has a stone roof and a late medieval door without ironwork. There is a Norman chancel arch, wholly rebuilt, with two shafts each side. There is a fine wooden screen of c1500, two benches with vine trail pattern backs and several old benches with poppyheads, some human, some birds. The chancel windows have five lights in the east, three in the south and display flamboyant tracery. There was extensive restoration from 1856 when the stained glass east window by O’Connor was installed. The treble or Armada bell was made by R Mellors in c1590, another by H Oldfield in 1583, and the tenor bell was made by a Nottingham Foundry in 1726. A steel frame was installed by Taylors of Loughborough in 1966. The clock was put in the tower as a memorial to the fallen of the First World War.